With the help of popular books, like Marie Kondo’s The Life-Changing Magic of Tidying Up, people are ready to tackle clutter. However, we know a book won’t necessarily help you get started. 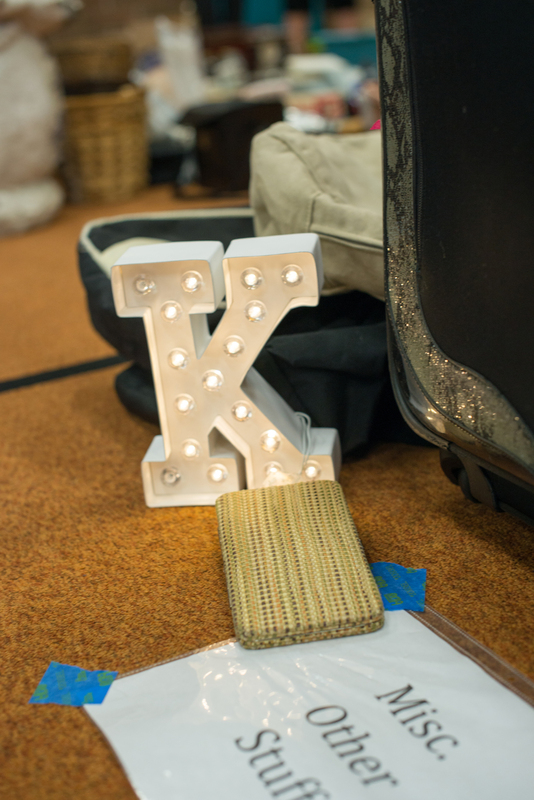 Here are my top tips for getting started with decluttering your space. You can do this as part of spring cleaning or anytime of the year, with the 15-minute "clearing clutter" workout. 1. Start small. Begin by clearing two small surfaces within your home. That might be your bathroom counter, your nightstand, the top of a bookshelf or your kitchen table. It can be any surface. Do what you can to reduce the items you put back on the surface. Three is the ideal number, but less is good, no matter what the number is. You can box up items to try it with less if you’re not ready to let go of these things…yet! 2. Get support. Many people need some support to get going. That can vary from having a friend or family member whom you can share your goals with, to an online group or hiring a professional organizer. Even just speaking or writing down your goals is one way to get more clear and committed. When we share this with someone else, it helps make it more real. It’s ideal if that person is willing to declutter too and you can report back to each other. 3. Figure out your why. Why do you want to declutter your space? It is to help you find things? To reduce the amount of time it takes to clean? To clear space in preparation for downsizing? To feel more calm and less chaos? It’s helpful to actually write out your why and post it somewhere you can see it as a reminder, especially when you need a boost. Be sure to share the why with your support person too. 4. Put it on your calendar. Decluttering is that thing we think of doing, but rarely schedule. By putting it on your calendar and telling your support person when you’ll be doing it, you have a clear plan to follow. Set a timer for 15 minutes and commit to decluttering until it pings. Even if you declutter for just 15 minutes, you’ll be surprised how much of a difference it can make. Once you’ve gotten started, you may be ready to move onto other categories like Marie Kondo describes in her book – clothes, books, papers and more. Don’t be afraid to break these into smaller sub-categories that you work through on separate days for 15-30 minutes, such as jackets, shirts and shoes. Set that timer and start decluttering! Here’s a typical morning routine: You wake up to an alarm clock, in a bed made with sheets and pillows; take a shower and dry off with a towel; make coffee with a machine and toast bread in a toaster. Perhaps the items themselves – alarm clock, bed, towel, coffee maker, toaster – are taken for granted because they are at our fingertips and in our everyday lives. 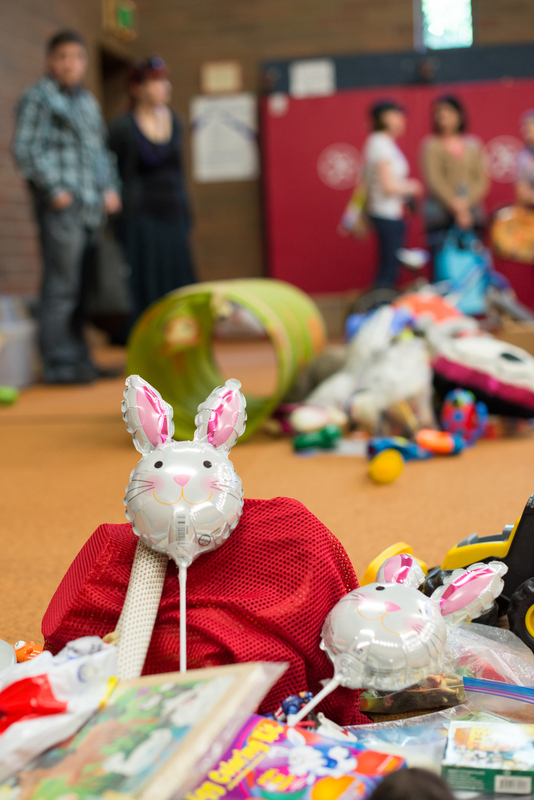 According to Rena Satre Meloy, Communications Director for Community Warehouse, the silent role our stuff plays is what makes her organization such a deeply important resource for our neighbors in need. 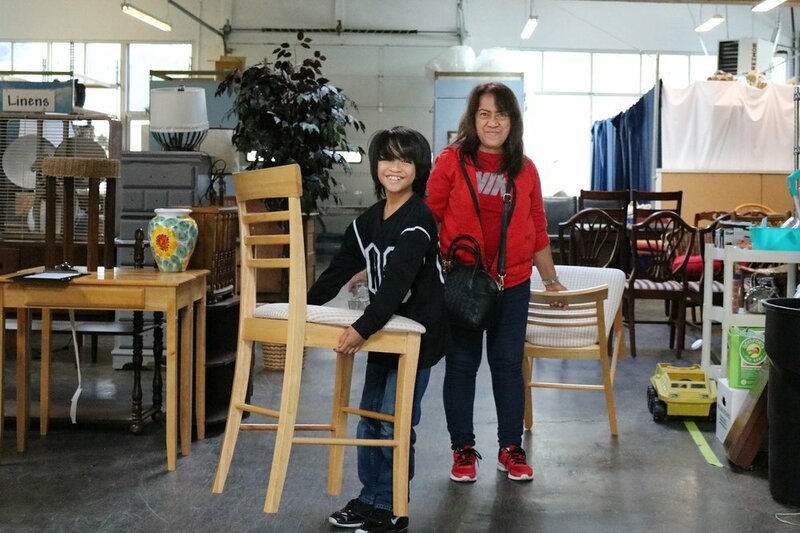 Community Warehouse, your local nonprofit furniture bank, serves clients from all walks of life. They work with 200 partner agencies that help others find secure housing – veterans, people coming out of homelessness, public school families and those in crisis situations. They make the most of items you no longer need or want and keep resources circulating in the community. They see themselves as a conduit between neighbors - to help each other and to provide a smarter way to redistribute existing goods directly to others locally. Resourceful PDX sees reuse at the core of what they do. A system that is closed loop because goods go to someone else who needs them and provides a meaningful interaction for those involved, while also keeping material on a local scale to lessen transportation and disposal costs. Community Warehouse has two locations: Northeast Portland and Tualatin. Items that are needed the most include linens, kitchen and household goods and furniture, especially stuff like pots and pans, toasters, dressers and twin beds. Gently used mattresses without big stains or tears are also welcome. What about those treasures you no longer treasure? The ones you may have inherited or no longer serve the purpose they once did? Estate Store at Community Warehouse offers collectibles and antiques for purchase to help further furnish homes for local families and will gladly accept your donations. Watch this 30-second time lapse video to see the volume of goods going in and out of Community Warehouse. 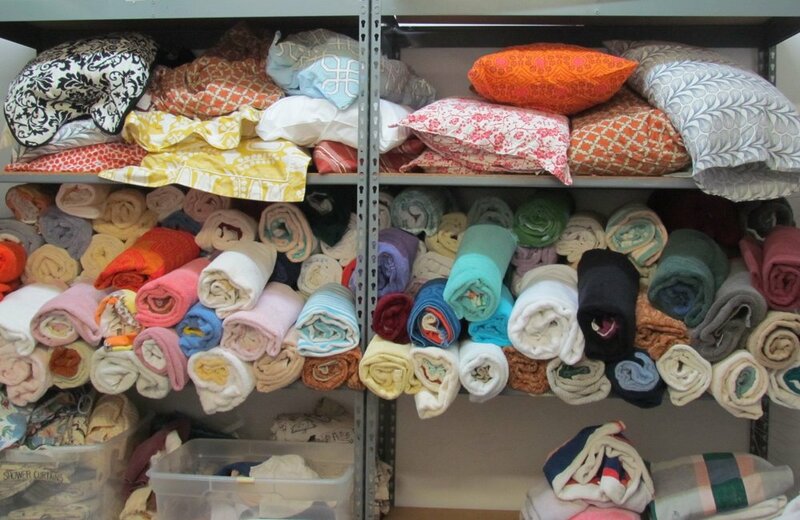 Find Community Warehouse under Resale Shop on the Resourceful PDX map. 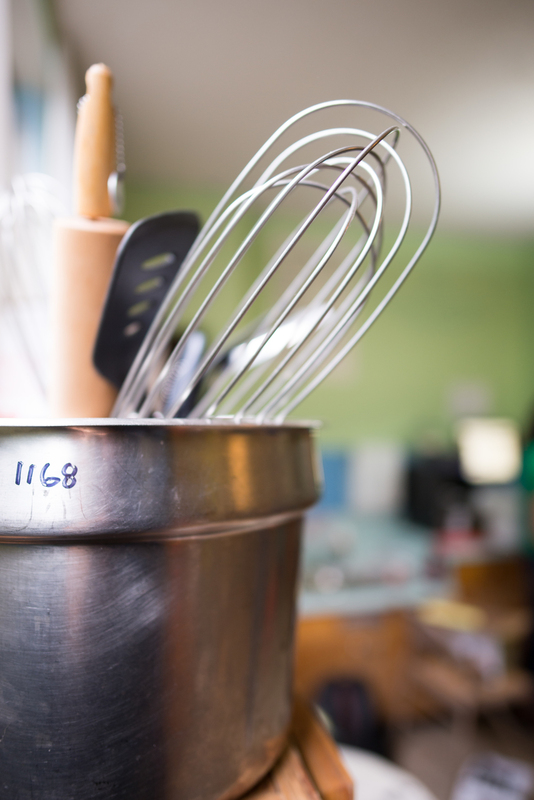 Founded in 1988, St Johns Food Share is a member-owned, volunteer-powered food sharing community. Formerly known as Golden Harvesters, St Johns Food Share has a mission to empower Portland residents by providing food options, preserving dignity and promoting self-sufficiency. Each year, the food share distributes over 300,000 pounds of food to local families. When Golden Harvesters became St Johns Food Share, the name change and rebranding prompted a big increase in members – they more than doubled membership just through word of mouth! Food Share membership is open to all residents. In exchange for a minimum of eight donated volunteer hours and $30 monthly dues per household, you can shop twice a week in the store at no additional charge. The monthly fee helps pay for the store space, electricity and utilities. Volunteers are crucial to the operation of the Food Share. It was a volunteer who brought the organization into the 21st century too – with software and computerization that hadn’t existed before. Paying membership fees are coming online soon too. Lynda, a St Johns Food Share member and volunteer, shows off available options at the store. One new member, Lynda, drives from St Helens to visit the store and volunteer on Fridays as a store lead. This volunteer position includes making displays look organized, greeting and assisting first-time shoppers with using the computer and weighing items for check-out. “Having this option really makes a difference,” said Lynda. She explained that the Food Share “offers a way to stretch my monthly money because social security only goes so far.” She can keep her kitchen stocked with a variety of items – fresh produce, dairy products, protein and staples – while keeping good food out of the waste stream. You’ll find a well-stocked store offering a variety of foods donated from partner agencies. These include Pacific Coast Fruit, St Johns Community Garden, Fred Meyer, New Seasons, Grocery Outlet and more. St Johns Food Share also works with social service agencies to pass along viable food through their food banks. Some of these programs include Grace Christian Fellowship, Hereford House and Linnton Community Center in North and Northwest Portland. One Food Share volunteer, Judie, said the organization also works with various farmers who take back the food that isn’t viable for human consumption and use the food scraps to make compost or as pig feed. Curious about Food Share? If you aren’t sure you want to be a member, you can shop free the first time. Or you can sign up as member right away. St Johns Food Share is open Mondays, Wednesdays and Fridays from 9 a.m. until 12:30 p.m.
Find St Johns Food Share under Donation Center on the Resourceful PDX map. Resourceful PDX discovered this “new” community resource when a resident used the Add to the Map button on the Resourceful PDX map. Let us know if you have a resource to add! The time of year between July 4 and September 15 represents a season (other than summer! ): Back-to-School. When retailers are emphasizing a shopping season, resourceful people take notice and consider their actions to avoid impulse purchases. Here are some strategies to help you save money, buy less stuff and get the most from this back-to-school season. Online and store-supplied shopping lists are often written by the companies who manufacture school supplies. Obtain the school’s supply list to ensure you get what the teacher needs. Schoolhouse Supplies is a local organization that collects corporate donated supplies, buys supplies in bulk and delivers the school supplies directly to the school. These supplies are less expensive because they are purchased or donated in large quantities. They save parents the hassle of running all over town in the family car to purchase supplies and ensure that the right supplies are bought for the class. Schoolhouse Supplies offers teachers low- or no-cost classroom supplies. Learn more at the how to donate page online. Instead of purchasing supplies at the beginning of the calendar year, work with your teacher and volunteer to purchase supplies after winter break. At some schools, the supplies often run out at mid-year. By replenishing just the most-used supplies, you’ll help ensure that those supplies that have run out will be replaced and the classroom won’t have excess supplies they don’t need. Auditing how many supplies are used versus what supplies are purchased is a valuable activity for teachers. Often, supply lists are generated at the beginning of a teacher’s career and as technology and teaching needs change, the supply doesn’t receive the fine tuning necessary to keep it relevant. Most classrooms have several parties or celebrations annually, in addition to student birthday treats. Creating a Party Pack that contains durable items can significantly reduce the amount of garbage produced by classroom parties. While parties differ, the average event produces 30 gallons of garbage (per Portland Eco-School Network research). That fills approximately one large black garbage bag. Contact the Center for Earth Leadership for more information about the Eco-School Network. Swap Positive has been hosting community swaps for 11 years in Portland. Swaps bring together volunteer coordinators, donated venues and swappers who bring clean items in good condition to share, at no cost. Items remaining at the end of a swap are donated. Shay has participated in and volunteered for dozens of clothing and ‘stuff’ swaps. She loves the culture of giving at community swaps. Another worthwhile element for her is knowing the items she brings that aren’t taken won’t be sold. The remaining items go to organizations and individuals who give them away, in the spirit of sharing. No money ever changes hands. Everyone involved gets to be with other kind, generous, thrifty, sustainability-minded people. That is the mission of Swap Positive Free Swaps. Are you ready to swap? View our event calendar for upcoming events. Or visit Swap Positive's About Swaps page to learn more and get your questions answered on the FAQ page.